Mallorca is often likened to a continent rather than an island. Its varied nature never fails to astonish, whether you’re looking for landscape, culture, or just entertainment. No other European island has a wider range of scenery, from the fertile plains of central Mallorca to the almost alpine peaks of the Tramuntana. 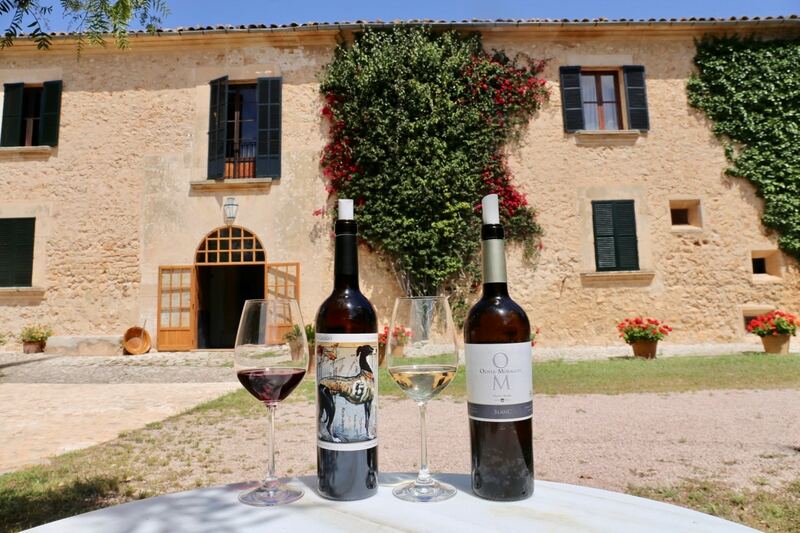 Mallorca’s appeal lies in its charm as a living, working island: the cereal and fruit crops of the central plains, and the vineyards around Binissalem are vital to the islands economy, offering the perfect backdrop for those keen to explore the island on a rural road trip. 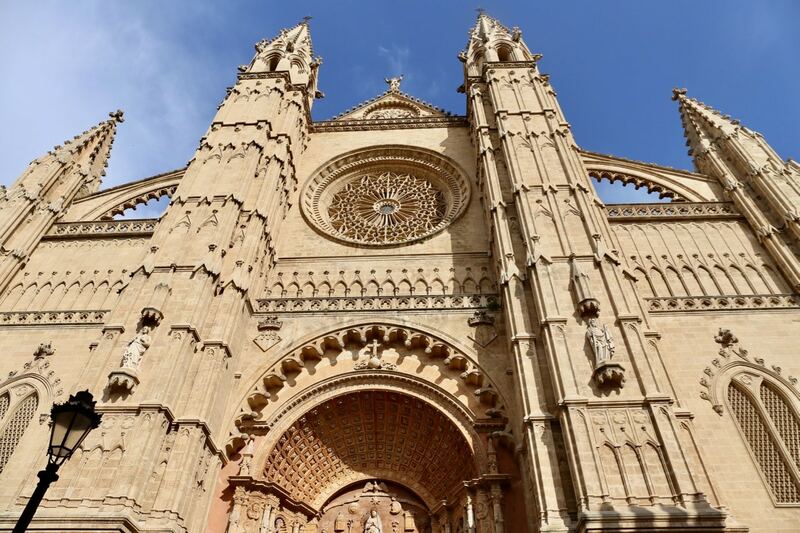 According to legend, when Jaime I of Aragon was caught in a storm on his way to conquer Mallorca in 1229, he vowed that if God led him to safety he would build a great church in his honour. In the following years the old mosque of Medina Mayurqa was torn down and architect Guillem Sagrera drew up plans for what is now Palma Cathedral. The last stone was added in 1587, and in subsequent years the cathedral was rebuilt, notably early last century when parts of the interior were remodelled by Antoni Gaudi. The city’s most fascinating museum is the Royal Palace of La Almudaina, located just opposite Palma Cathedral. The word Almudaina comes from the Arabic for ‘fortress’. However, long before the Moors arrived in the 10th century, the site had already been used by Romans, and even further back, by the Talaiots. When the Christians took possession of the island in the 13th century, the Moorish features were largely demolished. Under King Jaume II, the palace adopted the Levantine Gothic style. The palace is currently the official residence of the King and Queen of Spain (but you’ll unlikely see them here). On rare occasions the palace is used as a residence for visiting heads of state (the Clinton’s most notably slept here as guests of the Spanish Royal family). 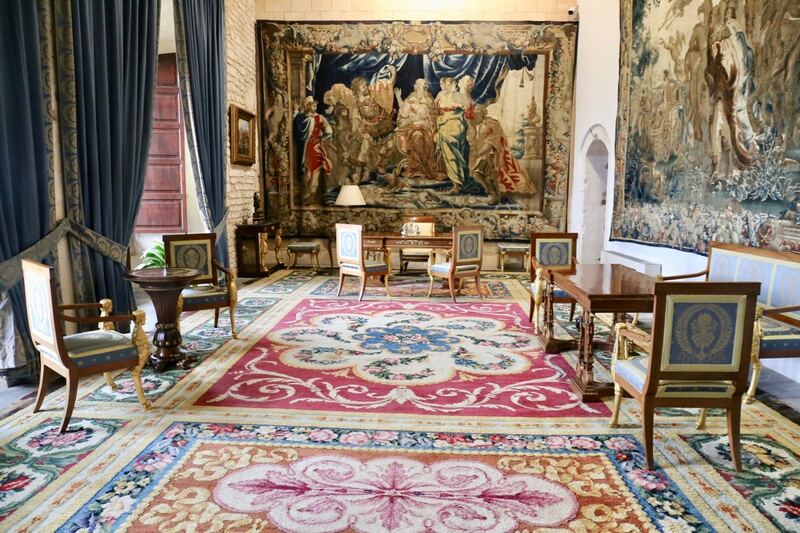 Be sure to take your time wandering around the palace’s many beautifully adorned rooms which feature antique furniture, period pieces and eye-popping tapestries. S’Hort del Rei was a mediaeval garden located outside the walls of the Almudaina palace that existed until the 19th century when the area was developed. It enjoyed a golden age in the early 14th century in the times of King James II of Majorca, when there were fruit tress, flowers and vegetable gardens. Animals such as rabbits were also bred there. In the 1960s, as part of the plan for restoring the surroundings of the Almudaina palace, the buildings on this site were demolished in order to put in new gardens in a historical style, designed by the Majorcan architect Gabriel Alomar. 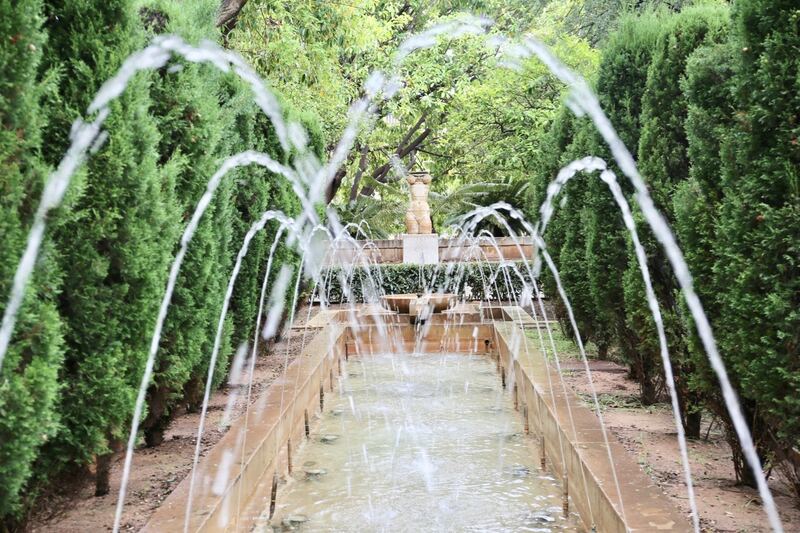 He combined traditional elements of Majorcan gardens, such as a pergola, with other elements of Andalusian inspiration, like a pond with fountains reminiscent of the one in the Alhambra. 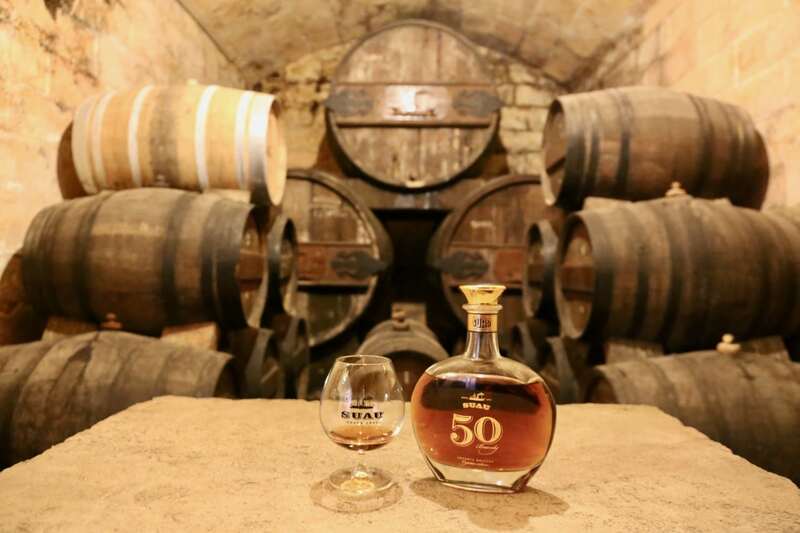 Located just a short drive from downtown Palma, a visit to the historic Suau Distillery allows you to sip and skip back 165 years. Suau brandy or “El Barquito” as it is also known, was created in 1851 and it is now available in 15, 25 and 50 year varieties. Still to this day, the purely handcrafted process, is carried out in the exact same way as when it first began. Organize a tour and you’ll march through ancient halls stacked with musty oak barrels, peak through a 40-metre-high chimney, a remnant of the building’s past as a flour factory, and finish on the main floor where a spacious tasting room offers an opportunity to sip Spain’s finest brandy. Oenophiles looking to enjoy a rural romp at an award winning winery should book themselves a nights stay at Oliver Moragues. The picturesque family-run property has been handed down over the generations and currently features a 10 room boutique hotel, lush edible garden, refreshing pool surrounded by dainty donkeys, and a state-of-the-art winery surrounded by endless rows of ripe vines. Enjoy a relaxing swirl and sip in the shaded garden courtyard while nibbling on sobrassada slathered crostini. 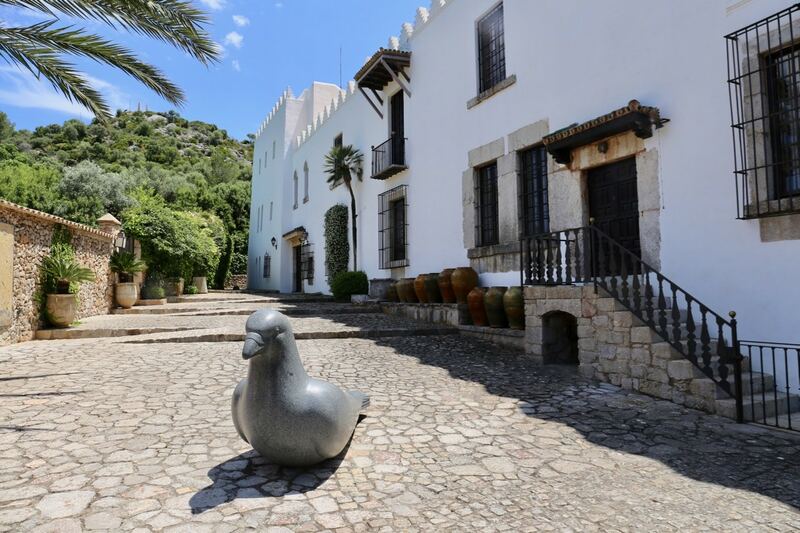 Mallorca’s most jaw-dropping art experience can be found at the remotely located Fundacion Jakober. Created in 1993, the museum is a private non-profit cultural institution, dedicated primarily to the preservation and restoration of Spanish Historical Heritage. The headquarters of the foundation is the Sa Bassa Blanca Museum, whose main building was designed by the famous Egyptian architect Hassan Fathy in 1978. The foundation is known for its collection of Old Master Portraits of Children from the 16th century to the 19th century, which is shown to the public in an old water reservoir conditioned for this purpose. Be sure to make time to stroll around the properties park which is filled with playful zoological sculptures. Located in the gardens that surround the museum, the sculptures by Ben Jakober and Yannick Vu are animal forms inspired by archaeological works currently preserved in museums around the world. The monumental sculptures are executed in granite. The largest work is “Dog”, based on a terracotta of the Japanese Haniwa culture (4th and 5th centuries AD), in the Tokyo National Museum. 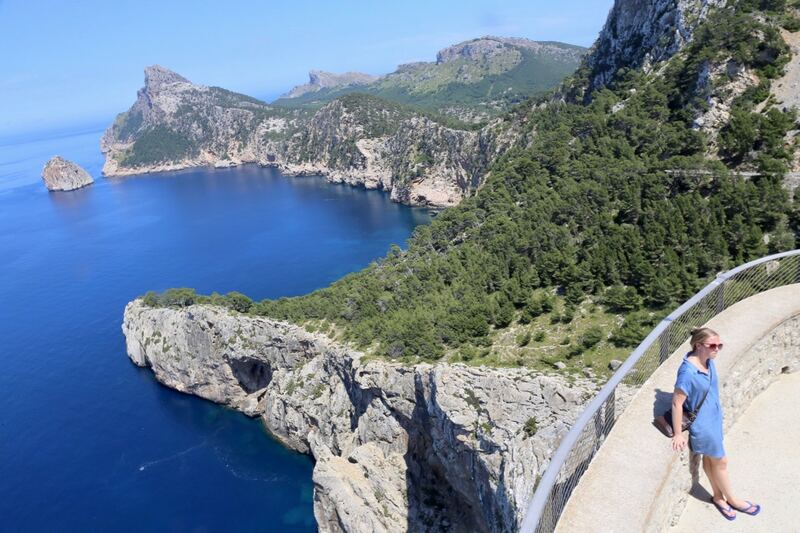 To see Mallorca in all its wild rugged beauty and experience the best views on the island, you’ll need nerves of steel and a head for heights. Way up in the Sierra Tramuntana mountain range near Puerto Pollensa, the Mirador d’es Colomer is perched over 300 metres above sea level on precipitous cliffs and has views to die for, so don’t go too near the edge! 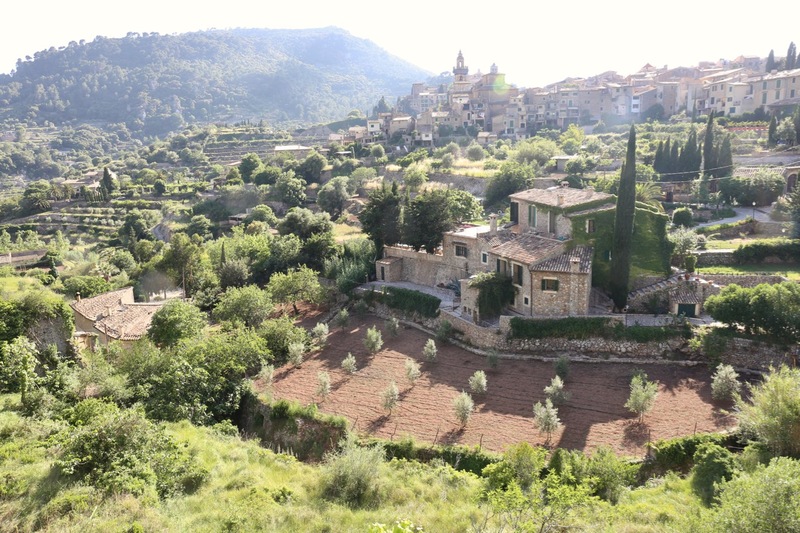 Valldemossa is a postcard-perfect mountain town linked with famous Polish composer Frederic Chopin, who stayed at the Real Cartuja de Jesus de Nazaret. “Chopin’s cell,” off the monastery’s main courtyard, is where a few of his works were written, and still houses the piano on which he composed. Nearby is a 17th-century pharmacy displaying outlandish medicinal preparations such as “powdered nails of the beast.” In the cloisters is an art museum with works by Miro and Picasso. 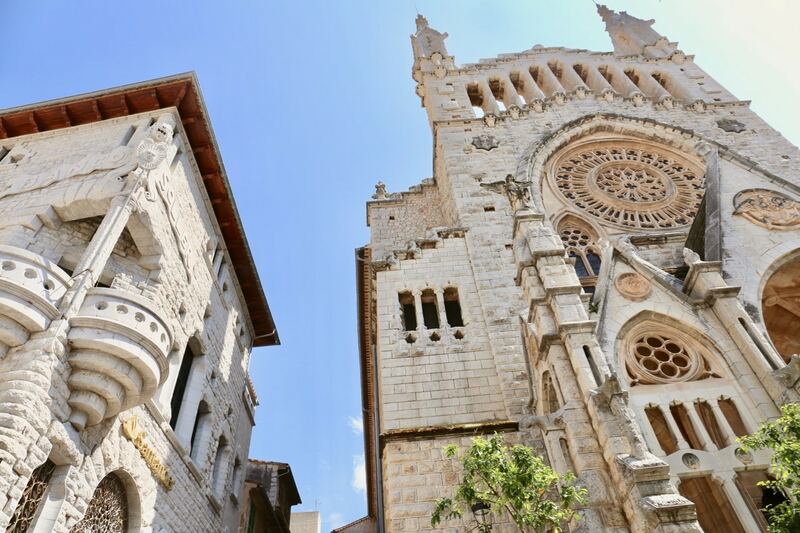 Soller is a little town grown fat on the produce of its olive groves and orchards, which climb up the slopes of the Sierra Tramuntana. In the 19th century Soller traded its oranges and wine for French goods, and the town retains a faintly Gallic, bourgeois feel. One of Soller’s best-known features is its delightfully old-fashioned narrow-gauge railway, complete with quaint wooden carriages. If you’re a boat lover looking to drool over the world’s most excessively posh yacht’s head down to Port Adriano for dinner. It’s here you can gawk at the slick boats which play home sweet home on the deep blue sea to the world’s 1%. 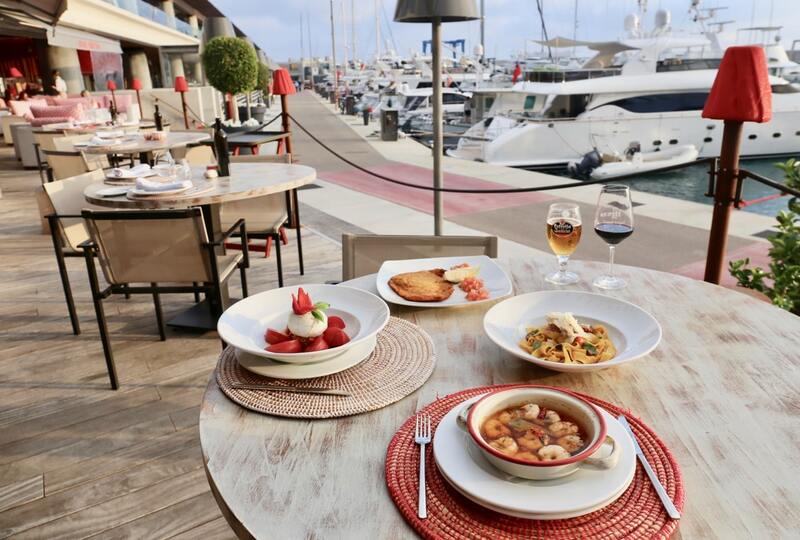 The marina complex is decidedly decadent, offering a full slate of year-round cultural programming (from music festivals to art exhibitions), high end fashion boutiques, swanky bars, and fine dining restaurants. If you’re a fan of Italian eats take a seat on the patio at Bruno, the perfect perch to watch the sunset and people watch while forking through buttery tagliatelle and plump burrata.